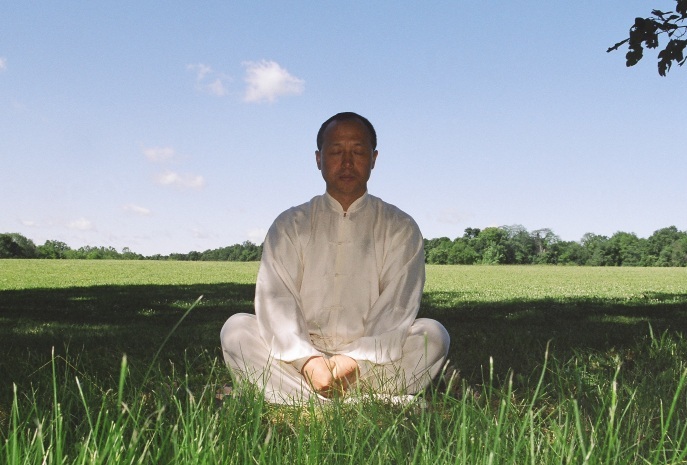 Functional application of wuwei: saving your precious energy. I truly believe that the events of daily life provide the best opportunity to improve our ‘mental immune system’ and to cultivate lasting tranquility and happiness. Wuwei is a Chinese philosophical concept with deep meaning. One functional application of wuwei is to practice not wasting energy on things that you cannot change or that are not worth your time to act upon. A similar idea is to not get upset or lose your ‘mental balance’ in trying situations, thereby saving your precious energy for when and where it is most needed in your life. Here is one example of this functional application of wuwei to a common life event. Not long ago, I was practicing in Central Park and observed park officials issuing tickets to two ladies for not having their dogs on a leash (park rules require that dogs must be on-leash at all times from 9:00 am until 9:00 pm). The ladies were aggressive in their refusal to accept the tickets, and eventually six park officers had arrived on the scene to talk to these two ladies. After about an hour of verbal sparring, the ladies finally filled out a form and gave their contact information. After such a long confrontation, the ladies must have been exhausted, and quite likely carried their anger home with them, perhaps sharing it with immediate family. Around the same time, I received my first traffic ticket - for not stopping my bike at a red light on the road that encircles Central Park. I had ridden my bike in the park many times since moving to New York, and I do not recall having ever seen a bike rider stop at a red light on that road. In fact, if you did stop you would be in danger of being run over by the bike traffic behind you! I did feel that the ticket was unjust. A few days later I spoke with another patrol officer and asked how they interpret the law. The officer said that you need to slow down at the red light and yield to pedestrians. This seemed a reasonable answer. Certainly there are times when one should fight, and choosing which path to take is not always easy. In this case I felt good that I had chosen not to fight the case. I would have wasted much time and energy fighting with the officer, feeling angry at being treated unfairly, and taking time to go to court. Even if I had “won,” what would have changed? Note that wuwei does not mean “no effort”—making a conscious decision to not waste your energy requires awareness, effort, and practice. And to truly keep your emotional center, it is essential to understand and be aware of reality and how to deal with reality in a healthy way—which my students will recognize as the foundation of my meditation instruction. To be sure, there are plenty of times when I have wasted my energy in response to minor life occurrences. It is only through long practice that I have learned to nurture my energy and come to an understanding of the functional wisdom of wuwei. Grant me the courage to change the things I can, the serenity to accept the things I cannot, and the wisdom to know the difference. This is an excellent contemplation for meditation, helping lead one to experience tranquility. ©2016 Center for Taiji & Qigong Studies.